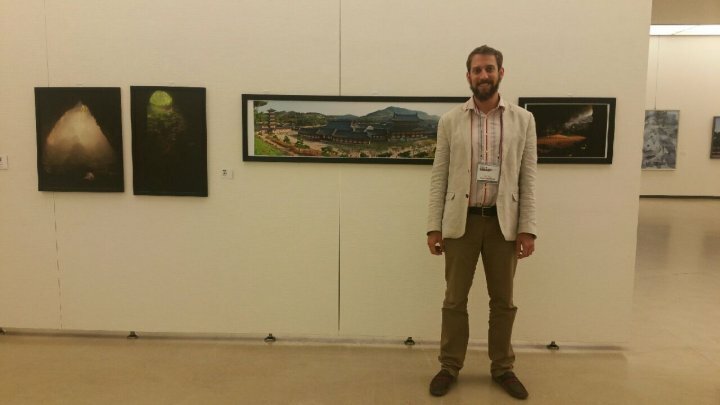 It is with great pleasure that I announce my photos are on exhibit at Seoul Arts Center! The Hanagaram Museum is hosting a UNESCO exhibit and they accepted 4 of my photos from Vietnam & Korea. The Hanagaram Museum is often referred to as the “best fine art museum in Seoul” and on the 3rd floor you’ll find a large gallery featuring a dozen foreign artists and a number of Koreans too. This exciting opportunity to showcase my work has me bursting with pride and pleasure. The exhibit is free but only lasts from October 22-27th so check it out soon! Take your first left and walk to the end. That building is the Hanagaram Museum. Head to the 3rd floor to see my photos!